THERE once reigned in a town called Alba in Italy a king whose name was Numitor. He had a brother called Amulius, who was a proud and wicked man, and could not bear that his elder brother should be king over him. So Amulius plotted against his brother. He got together a number of men who were as bad and cruel as himself, and they attacked Numitor and drove him from his throne, and made Amulius king in his stead. They took the sons of Numitor, and his daughter Rhea Silvia, and killed them. Then Amulius seized the two little sons of Rhea Silvia, who were still only babies; he gave them to his soldiers, and told them to throw the poor little boys into the River Tiber. 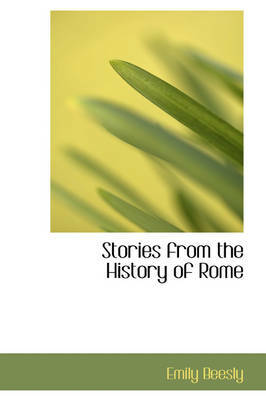 Buy Stories from the History of Rome (Dodo Press) by Emily Beesly from Australia's Online Independent Bookstore, Boomerang Books.